Global sales of compact hatchbacks are hardly surging, and fuel economy for all types of vehicles is steadily improving. 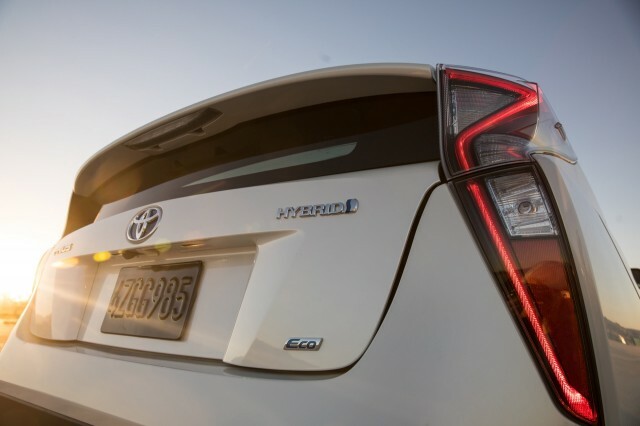 Even given those factors, though, the fourth-generation Toyota Prius hybrid has had an especially rough road since its launch as a 2016 model. At just 108,661 deliveries across four different models, U.S. Prius sales were almost exactly half their peak in 2012—and many analysts suggest that the bizarre styling has played a role. 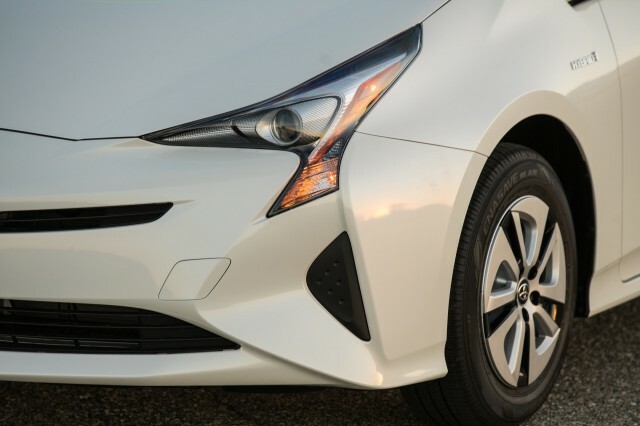 Now, a report from Japan suggests the conventional Prius hybrid will get a mild styling update for 2019 that will move it closer to the better-received Prius Prime plug-in hybrid version. The news comes from an article published Sunday by the Japanese site CarSensor.net (via Indian Autos Blog), as translated by Google Chrome. 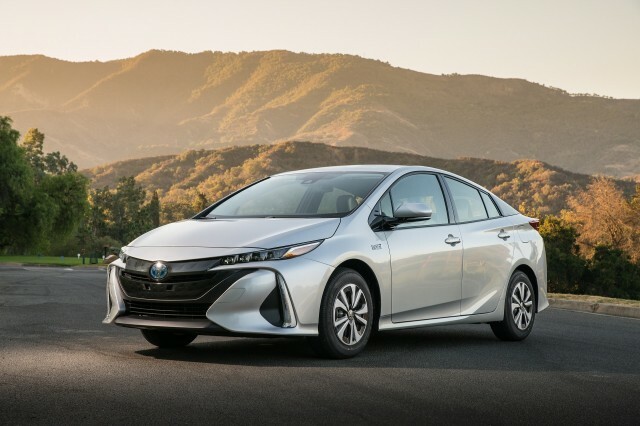 That site noted the challenge facing designers trying to update the Prius: the conventional hybrid model couldn't look too similar to the Prius Prime, or there wouldn't be enough differentiation to make the higher-priced plug-in hybrid version distinctive. 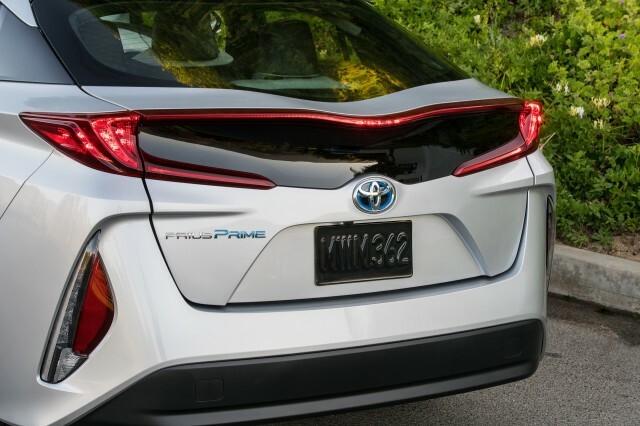 This balancing act suggests that the base Prius will likely get some minor tweaks to its front and rear lights and large molded plastic bumper shields, but not adopt the Prius Prime's looks (and "double-bubble" rear liftgate glass) wholesale. 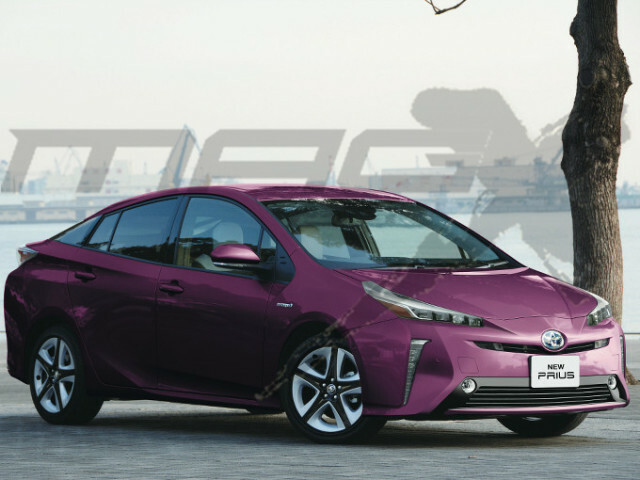 A pair of renderings suggesting how a purple 2019 Prius might look accompanied CarSensor's original Japanese-language article. While they are only speculative, they indicated that the front light units could be reshaped, dropping their three-armed shape, for a more swept-back look. 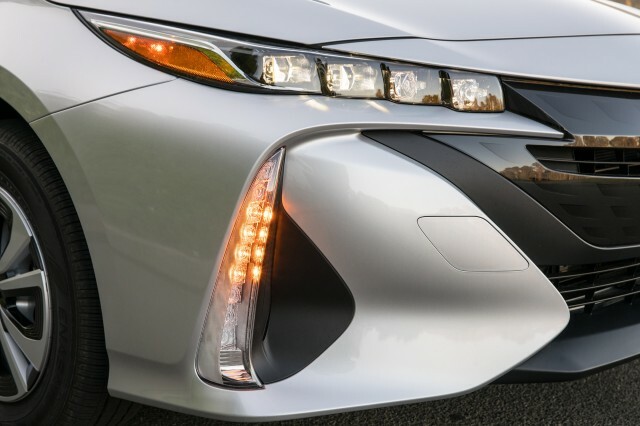 At the rear, the thin vertical light extending a foot or so downwards from the tail lights at the outboard corners of the tailgate could be dropped, giving the rear light unit a more horizontal look—similar to that of the current Prius Prime. 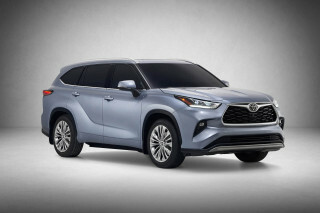 The article also notes that the 1.8-liter inline-4 engine and two-motor hybrid system may get some incremental updates as well, which could conceivably boost EPA ratings by a small amount. The report said the new 2019 Toyota Prius should appear in December 2018, though whether that indicates its debut or its arrival at dealerships was unclear.